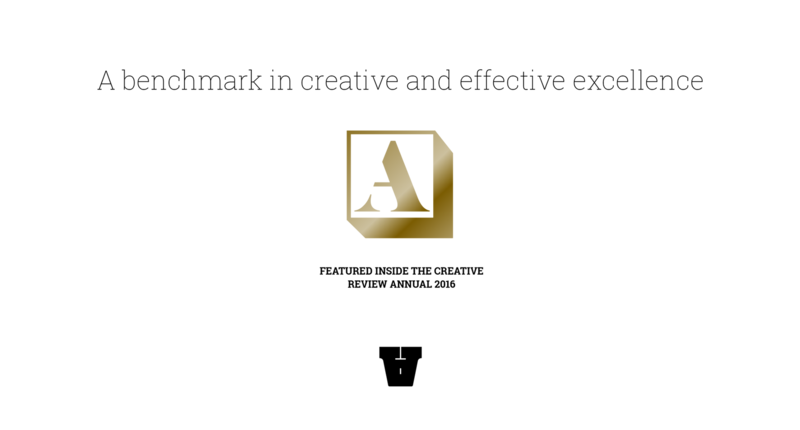 We designed an integrated and interactive logo device that incorporates geo-location technologies to help donors locate and identify their local charities. 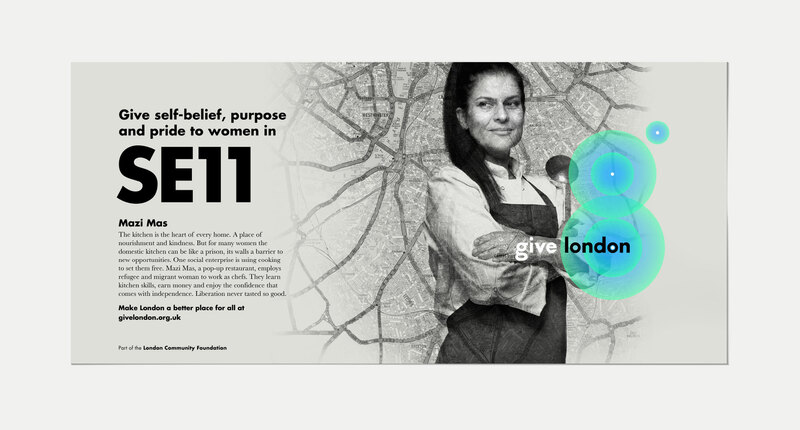 Give London is an initiative of The London Community Foundation. The Foundation has given nearly £50 million in funding to more than 9000 charitable projects since it began in 1995. 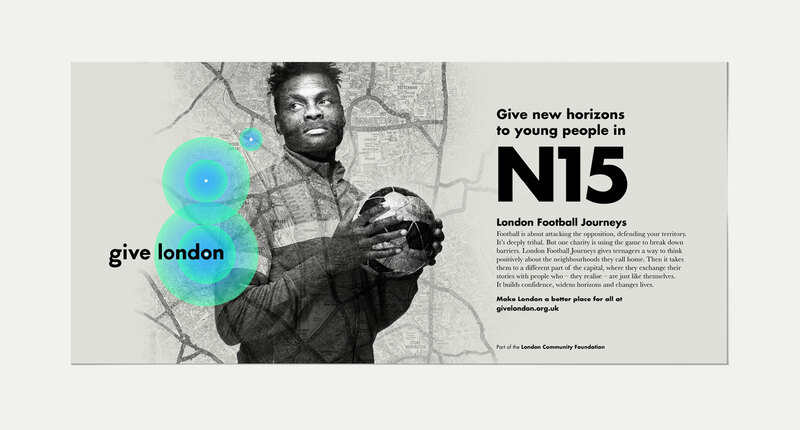 In 2014, through £5.2 million of funding, it made over 1,050 grants that touched the lives of thousands of Londoners. 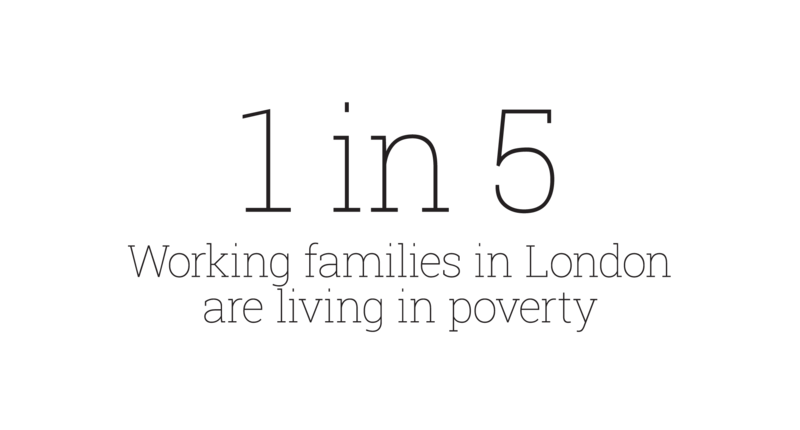 Give London is a simple way for people to donate to the less fortunate in the UK’s capital. It targets local charities that are often over-looked but nevertheless have a significant role in changing lives for the better. 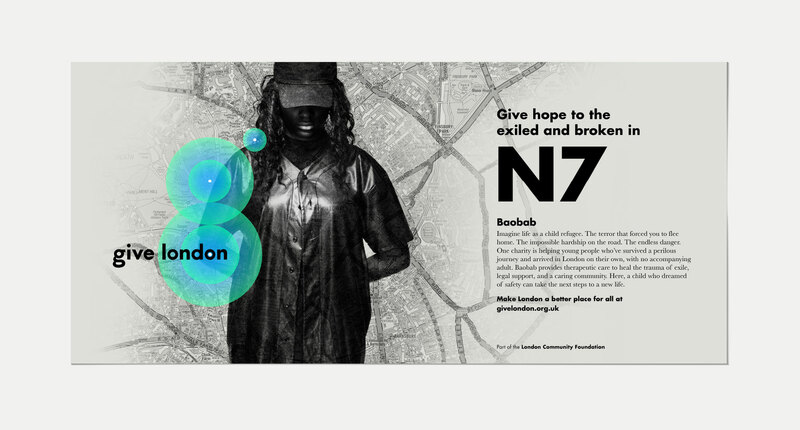 Design an identity and launch campaign to raise money for the Charity and promote its impact on local people and neighborhoods across London. 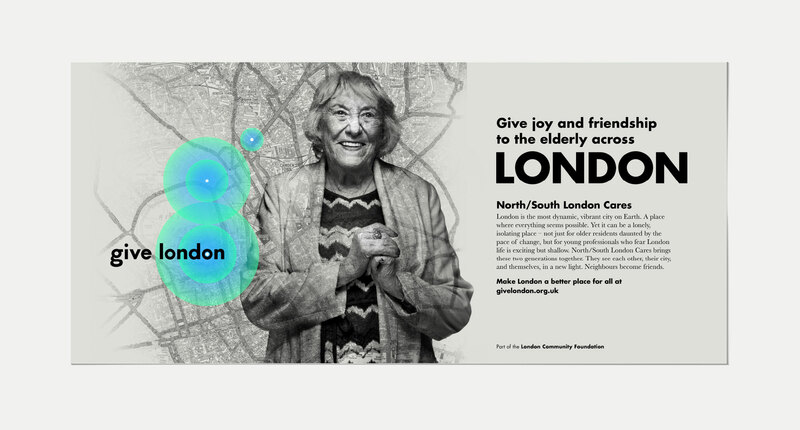 We developed a brand that targeted ‘local giving’ and connected the absolutely amazing stories of Londoners who’ve benefited from the work of local charities all across the capital. These stories simply illustrated the need and the power of giving to make lives better. 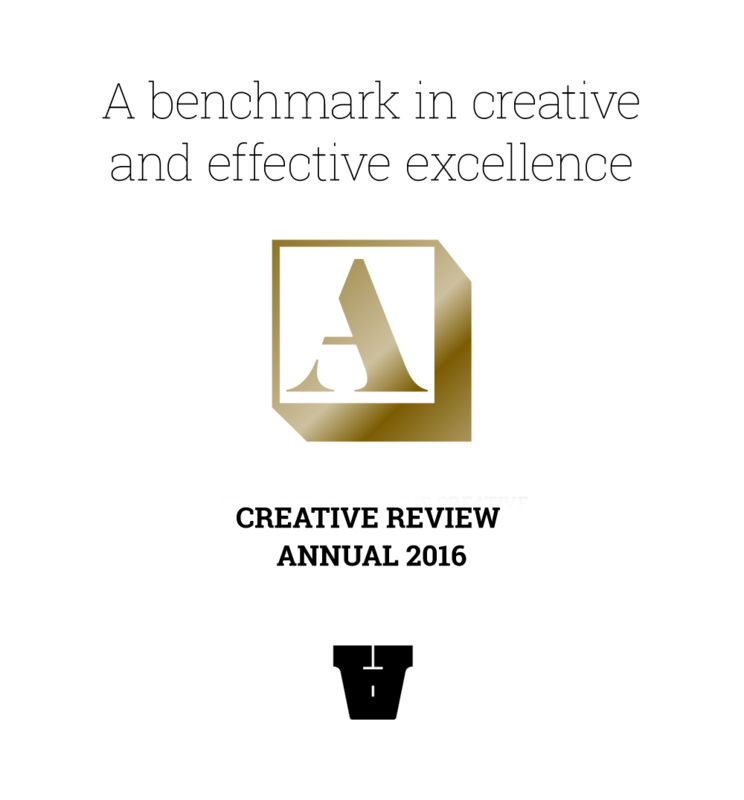 We designed an integrated, interactive and intuitive logo device that incorporates geo-location technologies to help donors locate and identify their local charities. Eventually this technology will be used to link to the online donation process to bring to life the generosity of Londoners to stimulate more giving. The real-time data captured will also allow Give London to see who’s giving, this will help inform future campaign strategy to deliver even more targeted activity. London’s is known for its prosperity and opportunity, yet it's easy to forget about the thousands of Londoners left on the margins. Poverty, isolation and crime affect too many. Give London targets local charities that are often over-looked, but nevertheless have a significant role in changing lives for the better. 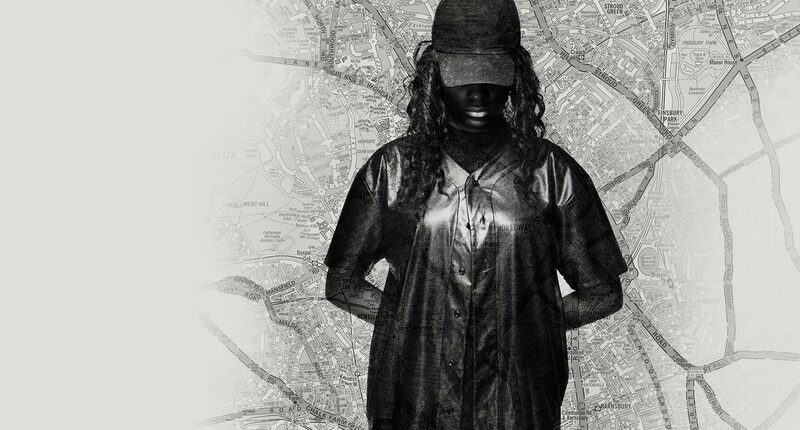 Here’s how we put Give London on the map.